Welcome Spring with Dolce and Gabbana! Dolce and Gabbana launches its Spring – Summer 2018 collection for women! The latest collection of Dolce and Gabbana is for the women who like experimenting with their look. Who are confident about what they wear. And the women who know, that no matter what, they are beautiful! Inspired by the Lucia and Dolce box Bags, the designs of the collection are diverse. 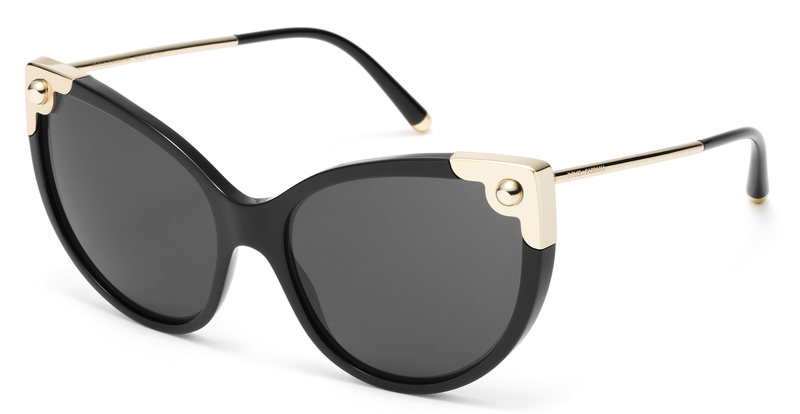 One can get a modern as well as a retro look with the new D&G series. As the designers go all bold with the designs and colours, they expect the customers to go unconventional with their choices too. These alluring optical frames define femininity. The acetate body with broad, slightly squared shape, gives the nerdy look an elegant twist. They call it the Seductive Cat-Eye. Inspired by the Lucia Bag, these acetate sunglasses’ front section is adorned with metal studs, taking the classic cat-eye to a whole new level. This simple, subtle yet noticeable design is one of the must-have, from the range. These acetate sunglasses feature a soft, slightly squared design, with metal studs in the front section inspired by the Lucia Bag. These cat-eyes are so simple and classy they make you look fierce and calming at the same time. They highlight your features just perfectly. These give you a modern-retro look! Contradictory! Yes! But this is what the new D&G collection has to give you. Something Unique! These acetate sunglasses have the borders that serve to underline their elegant, slight square shape. Pretty! Is what comes to one’s mind when they see these oversized, acetate, round sunglasses with colourful, feminine designs.